Next Meeting: Wednesday, November 28th, 6:30pm at MakerWorks. Your Round Robin projects to enter into another round. If you did not bring a block to the September meeting, you are still welcome to bring one for future meetings. Next Sew-In: Sunday, November 11th 12 - 4pm at MakerWorks. We continue to grow! It's wonderful seeing so many new, lovely faces at our meetings. Welcome, Pamela! and Stacey! QuiltCon: Deadline is November 30th for entering quilts. Show/Sale: Jenna had bookmark announcements printed and passed them to the group to distribute. Rossie made posters and those interested snagged some to post about town. 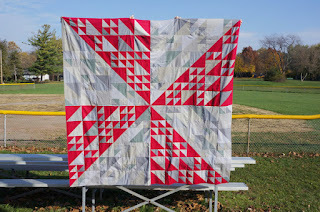 January Quilt Retreat: Hankerd Inn - shooting for the MLK weekend of the 18th. 18 people welcome in the barn, but space for more in the other buildings. $135 for the weekend (with food). "Under the Microscope" Fiber Arts show. Our guild was invited to attend, and Brenda and Rossie went to the premier. Under the Microscope from October 19 through December 14, 2012 at the North Campus Research Complex, 2800 Plymouth Road, Building 18. Our facility is focused on research in the Living Sciences, Engineering and Green Initiatives, among other things. Under the Microscope consists of 16 quilts that were created after images supplied by U-M’s Bio-Artography Department and the traveling exhibition was organized through the Society for the Arts in Healthcare in Washington, DC. The exhibition will be open and available free to the public during weekday business hours, 10am – 6pm. 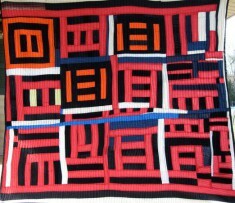 These quilts are owned by the U-M Health System and will go on display in the hospitals in 2013. FiberExpo: October 27 and 28. Jenna talked about her experience attending a Gee's Bend lecture. Round Robin: Participants showed their blocks. The blocks were passed to the left. Bring them back to the next meeting to be entered into another round. If you want, you can always bring a new block to start participating in the round. Show and Tell - we saw many beautiful works-in-progress and completed quilts - including this beauty by Brenda! I am planning on attending this presentation in Dexter this Thursday at 7pm. 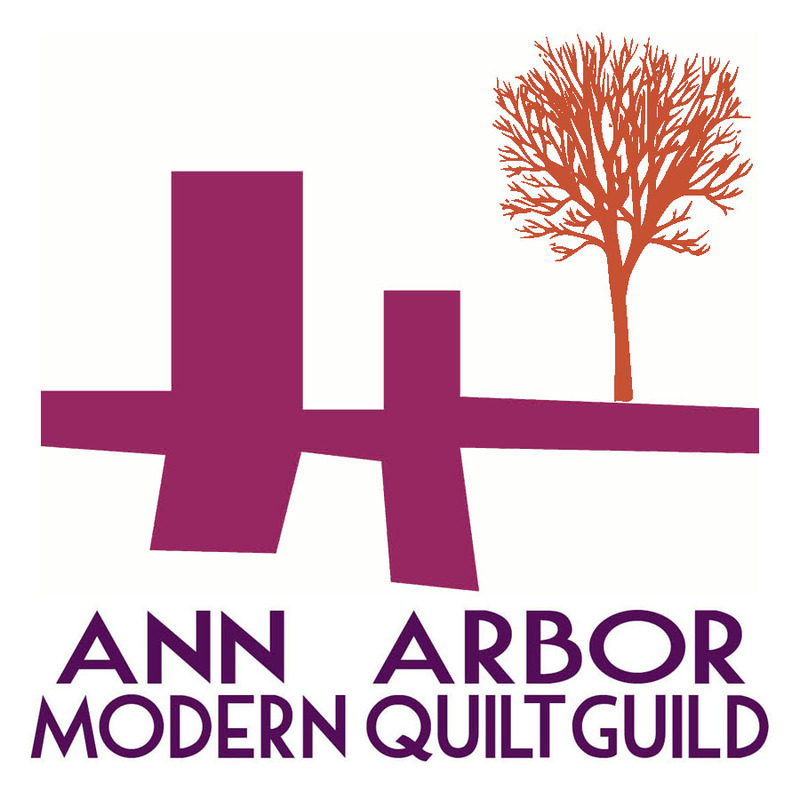 Tickets can be purchased at the door ($10) or bought in advance ($7) at the Ann Arbor Sewing Center. A new exhibit that brings to light the bold and dynamic quilts created by a group of women who live in the isolated community of Gee's Bend, Ala., is coming to the Dexter Senior Center on Oct. 18. 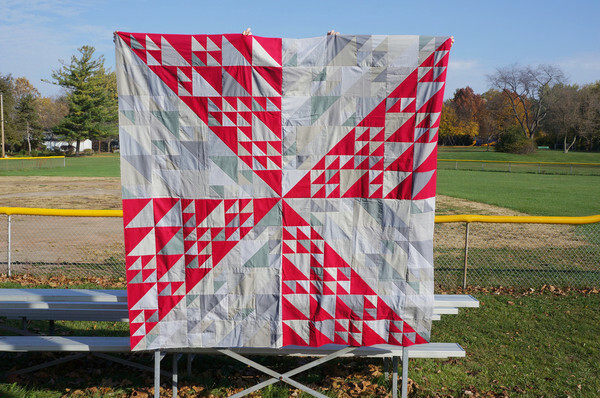 Michigan resident Jan Dolland will showcase the quilts and talk about the community of Gee's Bend, an all-black community founded by poor free slaves after the Civil War. Our sew-in will be on Sunday, October 14th from 12 - 4pm at MakerWorks. Our next meeting will be on Wednesday, October 24th at 6:30pm at MakerWorks. NOT THE 31st - THAT'S HALLOWEEN!